New! Certified Angus Beef ® brand Schmacon™ ! What is Certified Angus Beef ® brand Schmacon™? Your new favorite pork bacon alternative is here and is now available in a grocery store-sized pack. 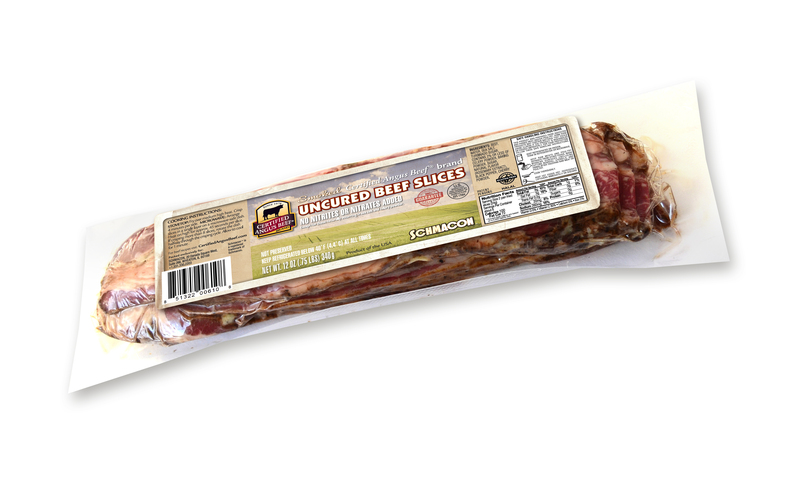 Certified Angus Beef ® brand Schmacon™ is made with premium beef and no added nitrates or nitrites. Schmacon crisps quickly and delivers a smoky, sweet, beefy flavor. It is satisfying in ways that only beef can be. 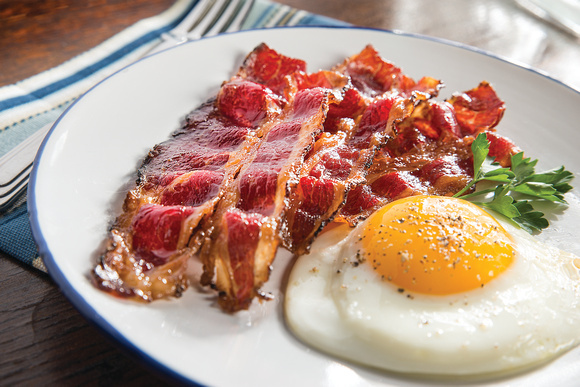 It is whole-muscle beef, smoked and glazed with less fat, less calories and less sodium than pork bacon. It also cooks in half the time of pork bacon. Great as a side on a breakfast plate, Schmacon is also a unique addition to your favorite recipes. 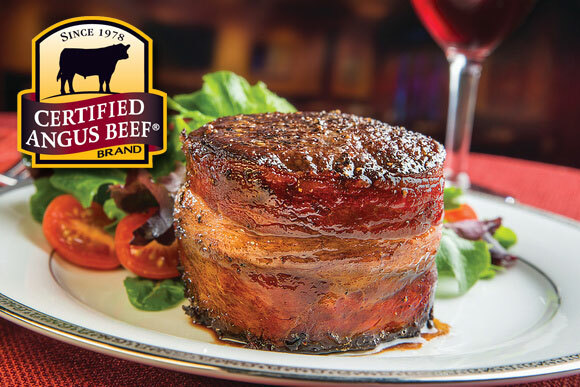 Not every cut of beef can be the Certified Angus Beef ® brand, and that’s just how it should be. Since 1978, the family farmers and ranchers behind the Certified Angus Beef ® brand have been dedicated to great tasting, high-quality beef. Today, each cut must meet 10 exacting standards for quality more selective than USDA Choice and Prime, making it the best Angus beef ever.